One of the newer bariatric surgery procedures, gastric sleeve surgery, also called a gastric sleeve resection or a sleeve gastrectomy, is generally considered to be a safe method of obesity surgery. In many cases, a gastric sleeve resection may be performed as the first part of a multi-step operation, such as with a gastric bypass. However, when patients have a high body mass index (BMI), our experienced weight loss physicians may determine that traditional weight loss surgery will be too dangerous. They may instead recommend the gastric sleeve, which typically offers a less invasive, safer procedure for many individuals. Once this initial operation is completed and some weight is lost, additional surgical weight loss methods, including duodenal switch or Roux-en-Y gastric bypass, may be considered. For more information about gastric sleeve surgery, or to schedule a consultation with one of our skilled bariatric surgeons, please contact us today. Patients undergoing sleeve gastrectomy typically experience positive results. Within the first two years after surgery, as much as a 60 to 80 percent reduction in excess body weight can occur. Individuals who do not see a significant decrease in weight after gastric sleeve surgery may be candidates for a gastric bypass or another type of secondary operation. In most cases, diligently following a nutritional diet and making the appropriate lifestyle changes can help to ensure that continual weight loss and long-term effects are achieved. Both gastric sleeve and gastric bypass surgery can provide significant weight loss for obese patients, and the right approach for you will depend on several factors. Gastric sleeve surgery is slightly less invasive and does not involve rerouting the lower intestine. Naturally, this means gastric sleeve surgery can also be completed in less time. That said, gastric bypass has been performed for longer than gastric sleeve and is often considered the “gold standard” weight loss procedure. Some other considerations to keep in mind include that gastric bypass is more complicated, often achieves greater weight loss, and presents a higher risk of dumping syndrome. Some individuals consider dumping syndrome to be a benefit, as it provides reinforcement to follow your dietary guidelines. During your initial consultation, we will go over all of your options so you can make the best decision for your needs and goals. What Are the Qualifications for Gastric Sleeve Surgery? Not everyone is a good candidate for gastric sleeve surgery, which is why it’s important to have a full and thorough examination prior to moving forward. Some of the typical qualifications for this procedure include having a body mass index of 40 or higher, or 35 and higher with at least one weight-related medical condition (some examples include diabetes, high cholesterol, sleep apnea, and hypertension). You should not have any health conditions that would make surgery too risky to perform. Additionally, to qualify for medical insurance coverage, your healthcare policy will likely require you to prove you have tried to lose weight using traditional means (diet and exercise) without success. The insurance process can be difficult and time-consuming, but we will help you navigate through the experience. What Should I Expect During the Gastric Sleeve Procedure? Our bariatric surgeon will begin the operation by using a camera and small laparoscopic tools to reduce the size of the stomach. While viewing the abdomen on the screen, he will utilize staples to trim the stomach. A large portion will then be removed, leaving behind a smaller stomach that is similar in appearance to a banana or sleeve. The purpose of gastric sleeve surgery is to reduce stomach capacity so patients consume smaller portions, thereby losing weight. Despite the substantial reduction in size, the stomach will still function normally. Unlike gastric bypass surgery, gastric sleeve surgery and LAP-BAND® Adjustable Gastric Banding do not require intestinal rerouting or bypassing to achieve results. Some mild to moderate soreness the first few days after surgery is to be expected, and we will provide medication to help manage your pain. You may be thirsty, but you will likely not be allowed to have liquids until the day after your surgery. Most patients do not feel much hunger the first day. The most important thing is to rest, recover, and follow any guidelines provided by your medical team. Within the first two to four days, most patients are released from the hospital. After about two weeks, you may be able to return to work and many normal activities. You should begin to see some weight loss after the first couple of months of following your prescribed nutrition and fitness program, with additional weight loss as you continue to recover and your body adjusts to the reduced calorie intake. Are There Any Gastric Sleeve Surgery Side Effects? Complications are rare following gastric sleeve surgery, but like all surgery, there are some risks. Serious concerns like bleeding, stomach leak, blood clots, and wound infection can occur if proper care is not taken. To reduce the possibility of experiencing a serious complication, you should choose an extensively trained and experienced bariatric surgeon. Some less serious issues could also occur, such as stomach irritation, nerve damage, vomiting, and diarrhea. We will discuss how to minimize the possibility of these unwanted effects during your program so that you can make every effort to avoid them. What Foods Are in a Gastric Sleeve Diet? You may be surprised by the variety of foods one can eat on the diet following gastric sleeve surgery. Initially, you will have a number of restrictions as your body recovers from the procedure. The first few days will emphasize clear liquids with protein shakes a potential option for certain patients. After the liquid diet you can transition to the pureed diet, which can include easily-blendable foods like lean ground meat, beans, fish, yogurt, and soft fruits combined with water, fat-free milk, juice, or broth. After a period, you will transition to soft foods, then to solid foods—usually at the two- or three-month point. Following the recommended diet is very important to your healing process and to a successful outcome. Seeing results should help motivate you to remain steadfast even when it feels difficult. What Are the Gastric Sleeve Surgery Complications? Obesity treatments, including sleeve gastrectomy, are often covered by a patient’s health insurance policy; however, some providers may deem the procedure investigational. If this is the case, they typically will not provide coverage. Additionally, some policies require individuals to follow a physician-supervised diet or schedule a special medical consultation before approving the surgery. Our caring and knowledgeable weight loss staff will be prepared to help our patients through every step of the insurance process, from understanding the paperwork to achieving approval. In the event of denied coverage, we offer financing through a specialized weight loss surgery lender. One of the most important decisions you will make is selecting your bariatric surgeon. We recommend choosing a physician who is extensively trained and certified by the American Society of Bariatric and Metabolic Surgeons (board-certified). The consultation is the ideal opportunity to ask many questions and learn more about a prospective surgeon. You are beginning a lifelong journey, and you will want to build a strong relationship built on trust with your weight loss surgeon. At Griffin Hospital, we care about our patients’ health and well-being. 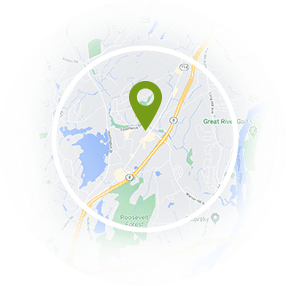 We offer an exceptional selection of weight loss surgery procedures and programs in Connecticut, and our bariatric physicians and staff seek to optimize results every step of the way. To discover more about how to achieve weight loss success with our help, please register for a free seminar. As a helpful resource for individuals considering bariatric surgery, we have provided answers to commonly asked questions. If you would like to learn more about gastric sleeve surgery, we encourage you to contact us to schedule a consultation. There are several criteria that will be evaluated to determine whether gastric sleeve surgery, another type of bariatric surgery, or another weight loss method will optimize your results. 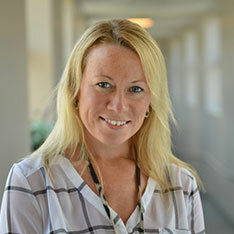 We will review your medical history, discuss your lifestyle habits, and talk about your expectations for the outcome. Additionally, you should have a body mass index (BMI) of 35 or above, although your individual health conditions and characteristics will also be taken into consideration. During your initial consultation, we encourage you to ask questions and be open about your concerns to become well-informed about your options. Will I need to follow a diet prior to surgery? Yes, and your pre- and post-operative diets are both very important to your success. Most medical insurance plans require patients to go on a diet before the surgery to show they have tried all alternatives before the operation. Additionally, a liquid-only diet will be necessary for a week or two before the procedure. This diet shrinks the liver, allowing the surgeon to see the anatomical structures of the abdomen more clearly and enhance your safety. We will review the specifics of the diet with you so you are fully aware of what’s involved. What is the gastric sleeve surgery success rate? Gastric sleeve surgery is the most commonly performed weight loss surgery, and this is due to the typically excellent outcomes. The success rate is higher than with gastric banding and slightly lower than with gastric bypass surgery. Short- and mid-term studies published by the National Institutes of Health have shown good five-year weight loss maintenance, and long-term studies are in progress. Gastric sleeve is less invasive than gastric bypass, and may be a better choice for patients who have BMIs under 40, although each patient is unique and weight loss programs should be tailored to suit each person. Will I need to take any vitamins following surgery? Yes. Since the surgery reduces the size of the stomach, you will not be able to absorb as many nutrients and vitamins as you would with full use of your stomach. This allows you to take in fewer calories, but it also means that we will need to prescribe you certain supplements to support your health and weight loss. Every person’s dietary needs are unique, and your surgeon will discuss which vitamins will be recommended during your discussions. We typically advise patients to take two weeks off from work and their normal day-to-day activities. Recovery can extend beyond this point, and we encourage you to listen to your body to determine when you are ready to return to your normal schedule. Your hospital stay will likely last two or three days, per your surgeon’s recommendation. Additional details will be provided as needed based on your individual treatment plan, needs, and goals. Can I get pregnant after having gastric sleeve surgery? Many patients find that getting pregnant is much easier after having lost some of their excess weight. That said, we recommend women wait until at least 18 months after any bariatric surgery to allow their weight to stabilize before trying to get pregnant. Your body will go through many changes following the procedure, and you should give it time to process these changes before introducing new ones. What will my gastric sleeve surgery scars look like? 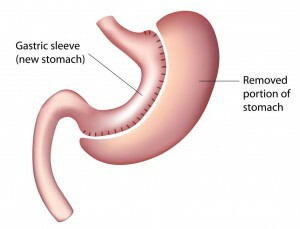 Depending on the technique used, one or more incisions may be made to complete your gastric sleeve procedure. In single-incision laparoscopic surgery, one small incision is made within your belly button, making the resulting scar virtually unnoticeable. Multi-port laparoscopic surgery requires four or five small incisions on the abdomen, and most patients heal well with only minimal scarring, though they will be visible. Open surgery is less common and often only used in emergencies, and this technique uses one large incision across the abdomen. How long does gastric sleeve surgery take? The gastric sleeve procedure usually can be performed in one to two hours, and you should expect to stay in the hospital for a couple of days if there are no complications. Results should begin to develop quite quickly, and you will likely notice changes in your body within weeks. Can this procedure be reversed? No, gastric sleeve surgery is designed to permanently reduce the size of your stomach and cannot be reversed. That said, most patients lose a significant amount of weight successfully and complications are quite rare. In the event that you gain some weight back, we can help you reboot your diet and exercise regimen and stabilize your weight. Griffin Bariatrics is committed to lifelong care, and we will continue to provide comprehensive weight loss support for as long as you like. If you have additional questions about gastric sleeve surgery, or if you wish to schedule a consultation, please contact our office today.